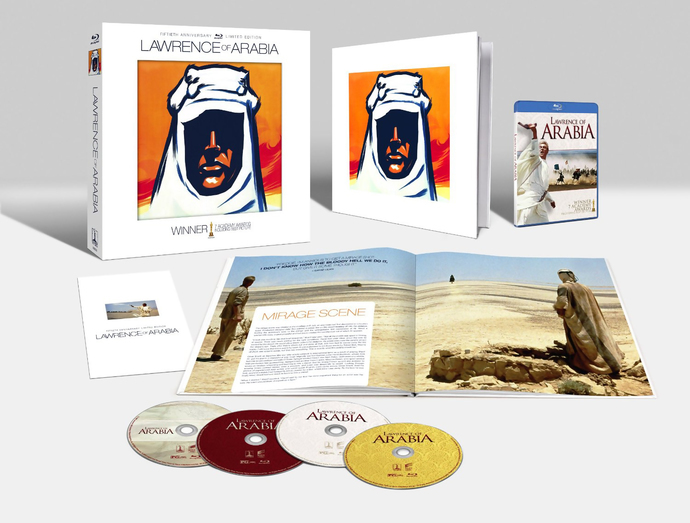 ‘Lawrence of Arabia: 50th Anniversary Edition’ Blu-ray Announced!!! 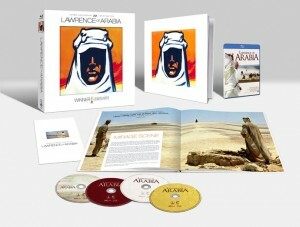 Sony has announced the 50th Anniversary of ‘Lawrence of Arabia’ on Bluray. And by the looks of it, this bluray is going to be the ULTIMATE edition. This will release November 13th, 2012. The film was nominated for ten Academy Awards and won seven: Best Original Score (Maurice Jarre), Best Film Editing (Anne V. Coates), Best Sound (John Cox), Best Cinematography (Frederick A. Young), Best Art Direction (John Box, John Stoll, and Dario Simoni), Best Director (David Lean) and Best Picture. So far, extras and specs have yet to be announced, but I expect that to change shortly. IT Director Andy Muschietti is taking on Robotech! This entry was posted on Thursday, July 19th, 2012 at 2:20 pm	and is filed under Film, News. You can follow any responses to this entry through the RSS 2.0 feed. You can skip to the end and leave a response. Pinging is currently not allowed. « 2012 Emmy Nominations Are In!! !